The Highland Clearances, & its causes, effects and results. 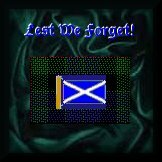 Clearances Award - "Lest we Not Forget"
An unflinching, historically accurate, five chapter Highland perspective view of the causes, effects and the final results of the tragic and dramatic Highland Clearances. If you are unfamiliar with this story, it may shock you, but it is vital aspect of Scottish and world history, and needs to be told. The Highland Clearances, Ch.5 The stunning conclusion; Murder of Ross women, final thoughts. The Highland Clearances Chronology - a timeline of events.